It is with great joy that SWD announce our planned departure for Hobart this Tuesday 29th January at 10am. Our group of youth will this week sail on the open ocean for the first time, 12 months after they came together to restore a dilapidated 53-foot wooden ketch, Wright of Passage Mercator. The crew from the inaugural Sailors with disABILITIES (SWD) Wright of Passage Program will celebrate and launch their labour of love on Woolwich dock at approximately 10am on Tuesday 29 January 2019. They will be escorted to the Heads by family, friends and volunteers of the project on SWD yacht Kayle. SWD founder and ‘Wright of Passage’ skipper David Pescud said the hard work was about to pay off for his young trainees. Coming from a range of the outer suburbs of Sydney they were disengaged with learning due to a disability or social circumstance. The five ‘Wright of Passage’ trainees, aged between 16 and 21 , will be joined by skipper David Pescud and four other ocean sailing veterans as crew: Andrew Davidson as Project Manager, Andrew Rogers, Clive Hassett and Deborah Sandars as carer on their journey south. The crew is expected to arrive in Hobart in time for Tasmania’s MyState Australian Wooden Boat Festival on 8-11 February, where ‘Wright of Passage’ will be open for people to walk through and learn about its history and restoration program. And, more importantly, celebrate the success of the current team of Liam, Delilah, Mark, Josh and Jackson who have attained traineeships or employment as a result of the program. “The 2019 MyState Australian Wooden Boat Festival is the rite of passage for our trainees. This prestigious festival is a wonderful opportunity for the crew’s hard work and achievement to be recognised,” Mr Pescud said. This is the first Wright of Passage Program run by SWD. After the boat returns to Sydney, SWD will begin recruiting for their second round of intakes and continue the restoration and skills training program. Each year SWD improves the lives of over 3000 young people on more than 250 sailing experiences across seven programs along the east coast of Australia. Wright of Passage is one of several programs run by Sailors with disABILITIES. It targets young people 16-21 years of age, offering the opportunity to acquire hands on skills while undergoing training. 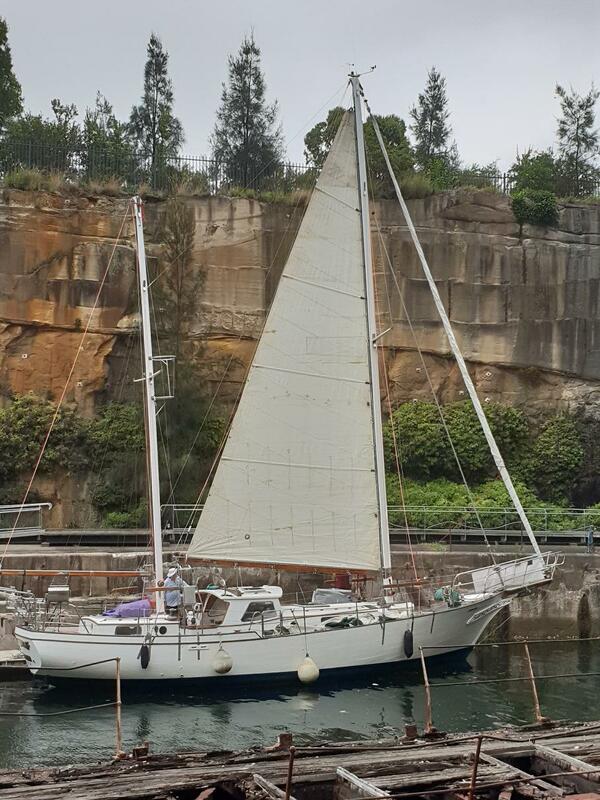 The aim is for a team of disengaged and disadvantaged youths to restore a 53ft Herreshoff ketch (WOP Mercator) and in the first year participate in the 2019 MyState Australian Wooden Boat Festival. Wright of Passage is a workplace learning program designed to support and develop the personal and social development skills of young people to help the entry into paid work or further education. In February of 2018, a small group of young people committed to the 12 month program including study at Meadowbank TAFE for an accelerated Certificate II in boating services. Dockside, the participants work with a qualified shipwright and importantly with SWD volunteer mentors.